The sweeping, sculptural armrest creates a striking silhouette that embraces the body. An upholstered back-pan is optional while the generous upholstered seat provides a high level of comfort and a floating appearance. Tapered, splayed legs extend in an elegant curve from the top of the seat-back to the floor. 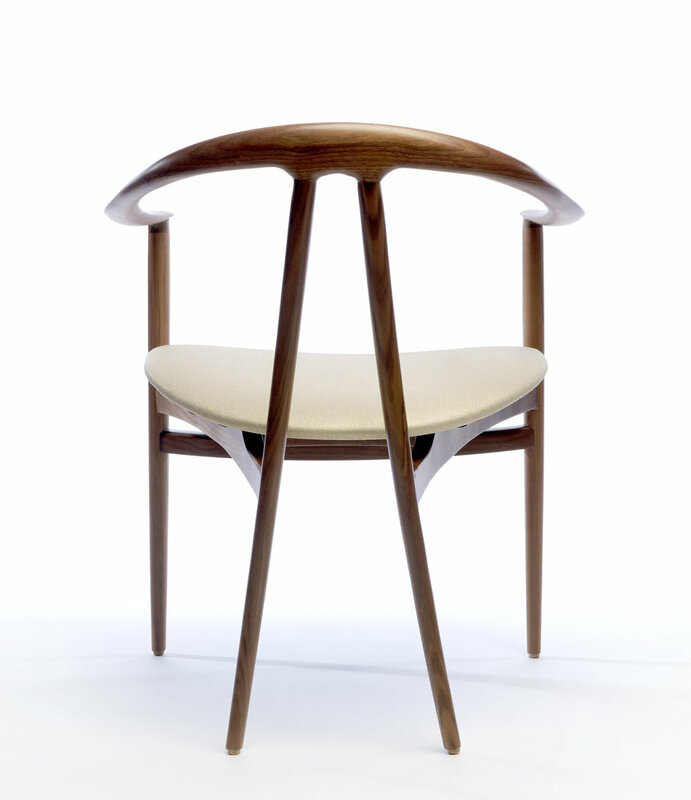 This solid wood chair is crafted by hand using mortise and tenon joints. 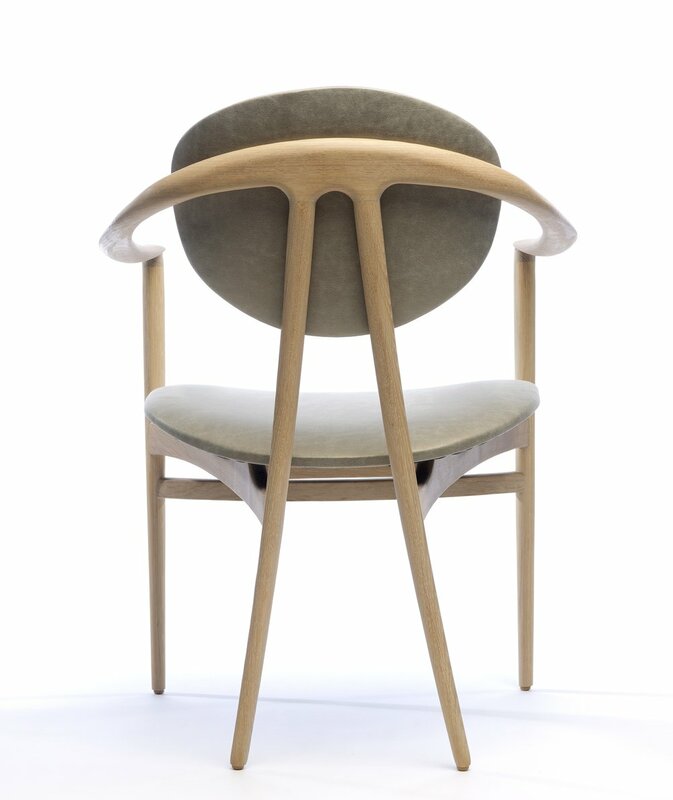 The Bianca Arm Chair is equally ideal around a table or standing on its own. Also available as a side chair.